Choosing the top café in Paris can be a great challenge, and our insider guide is here to give you lovers in Paris a few helpful hints. The café-culture that is so central to Paris has suffered setbacks in recent years, but even today there are few cities with the sheer number of coffee shops per square kilometre. Filtering through to bring you only the most refined selection in town, from the eclectic art-student haunts to the exquisite gourmet eateries, here are our choices for the most romantic Paris café. 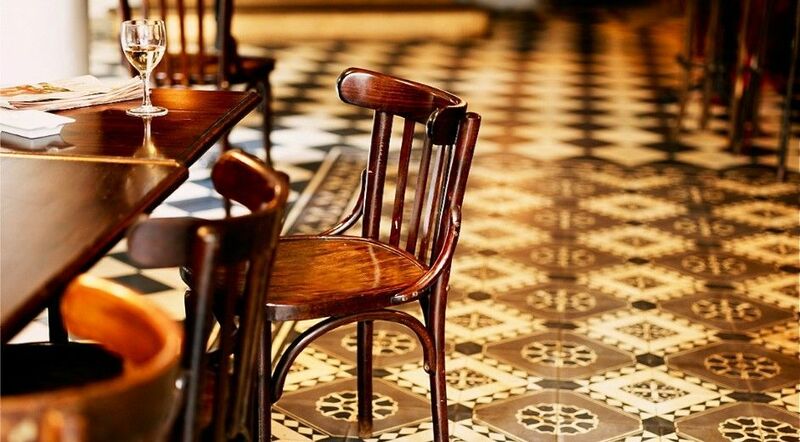 Few of Paris’s great icons can match the splendour of this legendary café. Capturing the romance that is quintessential to Paris, everything about the Café de la Paix is grand. Located with views of the glorious Opéra Garnier, the Café de la Paix mimics the gilded gold-leafed design and spectacular detailing. Food and drinks have been second to none since its inauguration in 1862 and have attracted figures including Oscar Wilde and Ernest Hemingway. Blending Art Deco with touches of modern art and design, Senderens café and restaurant is like none other. Impeccable service lets the cuisine be the highlight. Chef Alain Senderens, who lends his name to the restaurant, offers tastes of France that border on too good to be true. A true culinary artist, every flavour is just right and will delight you with every bite. Excellent wines wash down these delicacies in this luxurious establishment that is a focal point of central Paris. There’s nothing like seeing the glass pyramids of the Louvre and the Champs Élysées stretching away behind the rim of your coffee cup or reflected in your sweetheart’s eyes. Set right in the Palais du Louvre with its terrace spilling into the picturesque esplanade, Café Marly puts you right in the heart of Paris. Its classic, Napoleon III design is mirrored in the classic dishes and scrumptious snacks that are good enough to make you forget who you’re with, if just for a moment. Opening onto the picture-perfect Canal Saint-Martin, made famous in the film Amélie, the Hôtel du Nord is one of those chic, eclectic hideouts that everyone dreams of finding. Filled with a diverse clientele of locals, the stylish design is soft and romantic, flickering with candlelight and stained antique mirrors. In the summer, a small terrace lets you enjoy the rays and the calm atmosphere that permeates from the banks of the canal while tasting some of the best traditional French cuisine. Few Paris cafés still boast the feeling of local community that is fostered at O’Paris, and none can match the view. Located at the top of the Parc de Belleville, the view from the large paved terrace is stretched from the Eiffel Tower to the horizon. A perfect place to enjoy an excellent selection of local wines, a tantalizing bite, the soft summer breeze, and maybe a performance by local jazz groups, here you feel like you’ve stepped back into the romance of the real Paris while its lights dance before your eyes.